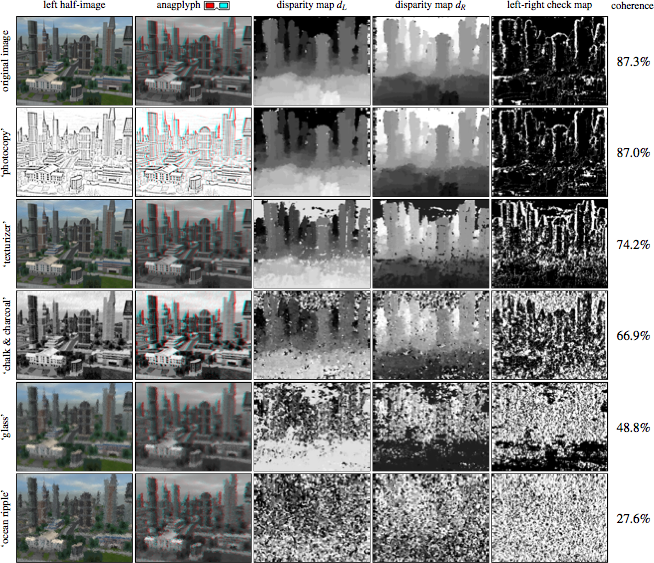 Results of our computational model on the ‘city’ stereo image and five versions manipulated using Photoshop filters. The coherence score in the last column is the percentage of consistent (black) pixels in the left-right check map. 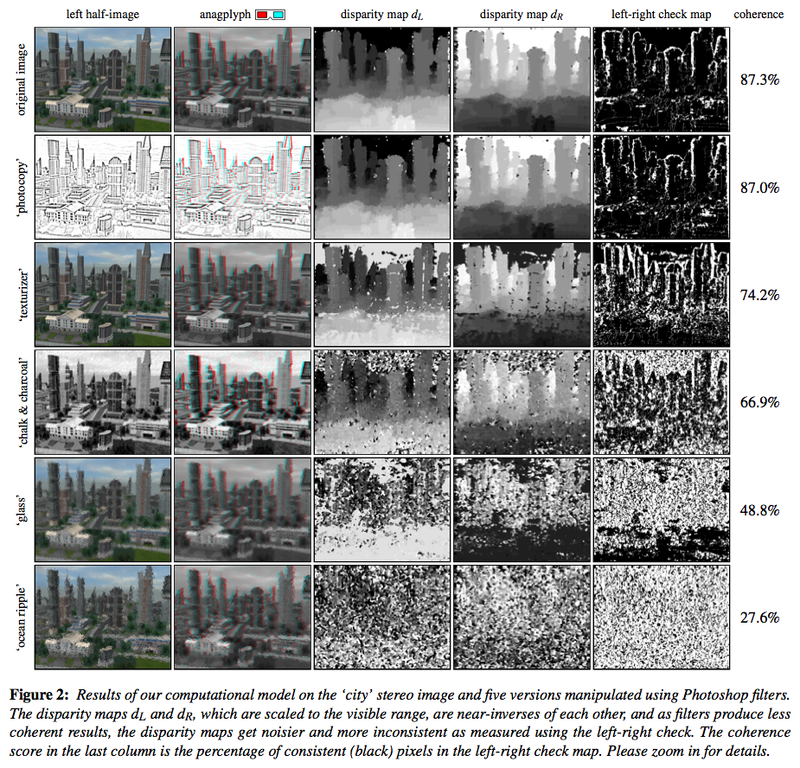 We introduce a novel computational model for objectively assessing the visual comfort of stereoscopic 3D imagery. Our model integrates research in visual perception with tools from stereo computer vision to quantify the degree of stereo coherence between both stereo half-images. We show that the coherence scores computed by our model strongly correlate with human comfort ratings using a perceptual study of 20 participants rating 80 images each. Based on our experiments, we further propose a taxonomy of stereo coherence issues which affect viewing comfort, and propose a set of computational tools that extend our model to identify and localise stereo coherence issues from stereoscopic 3D images. © ACM, 2011. This is the authors’ version of the work. It was posted here by permission of ACM for your personal use. Not for redistribution.